Last week we saw how Cellrox’s multi-persona BYOD strategy allows the enterprise to effectively attract top talent. In our final installment of this MWC Blog series, we will see how Cellrox meets the business challenges of rapidly changing models of employment in the enterprise. According to Intuit, the percentage of occasional, temporary or part time jobs in the US economy will grow from 30% to 40% by 2020. In some industries this type of employment will make up the majority of jobs. The trends of moving from full-time employment to part-time, occasional, project/task-based, or a freelancer- type of employment, is fueled by the following undercurrents. First, millennials do not want their parent’s jobs. Young workers may prefer to work hard for a few months and then travel or break for the rest of the year. They may also prefer to have a part- time job freeing up time for their interests or they may be forced into temporary employment because of current unemployment rates, and availability of jobs out of school. Second, seasonality, such as the holiday season in retail, presents a challenge in managing the costs of employees in order to accommodate peak demand. A model where seasonal employees can work for a retailer during peak demands, mitigates the costs of retaining more employees than needed on an annual basis. Third, healthcare coverage under the new Patient Protection and Affordable Care Act (PPACA), also referred to in the media as Obamacare, requires employers of more than 50 full-time employees to extend healthcare coverage to employees working more than 30 hours a week or be subject to penalties. The financial impact on employers is overwhelming and many employers are most likely, at least in part, to look at a different employment model that favors more part-time or occasional employees. The PPACA can potentially create a burden on employers, but at the same time, it now offers occasional employees the freedom and opportunity to get affordable healthcare, outside of the company for which they temporarily work, which was previously very expensive and prohibitive. As the recent CBO report highlights an employee’s ability to have health care coverage no longer depends on the amount of hours they are able to work. So how can a multi-persona strategy help the enterprise adapt to new employment models? • The company will be reluctant to provide a work device to the freelancer since it will be returned soon after and the total cost of the device may be very high considering the turnover. • The company will be reluctant to mix corporate and personal data since employment is temporary, and untangling what is professional and what is personal may not be easy. 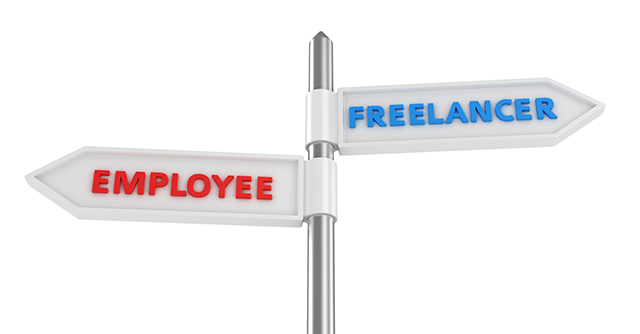 • The freelancer will aim to sustain a strong connection to their personal realm since they will need to find their next project after the one they are on is complete. To continually “be in the market,” a freelancer needs to stay close with public profile services such as Linkedin, and other sites and apps, to build and maintain their public reputation. The multi-persona strategy embraces these new changes in the enterprise employment model. It enables a user to have one device with two separate personas with no need for a temporary second device. Cellrox allows the freelancer and the enterprise a seamless transition in and out of the project on which they are working with no need to untangle complications resulting from mixing professional and personal information. In addition, Cellrox allows the freelancer to stay connected to their personal realm so that they are able to manage their position in the market effectively.